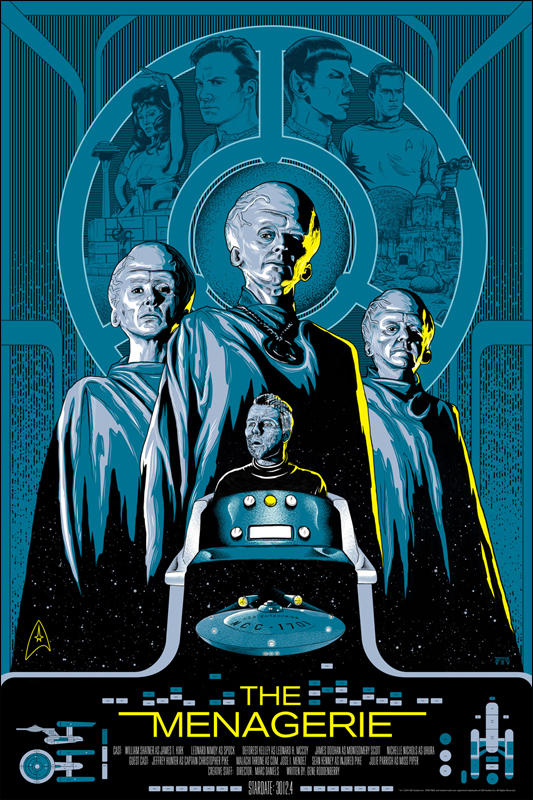 Mondo Tees has released two awesome new posters inspired by Star Trek. The poster above was inspired by the 1967 episode Mirror, Mirror, and the poster below is was inspired by the 1966 two-parter The Menagerie. The posters go on sale sometime tomorrow, Thursday, April 28th. Make sure you're following Mondo on Twitter to find out when they go up for sale, because like all Mondo Tees poster designs, they'll sell out fast.